For Cut’n’Paste (Original and RollOn), Bamboo Buster, Glymax, MetGel and Picloram Gel. 1. 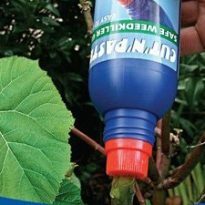 Cut the weed down to about 50mm above the ground make a level stump so the gel doesn’t run off (or paste the underside of some leaves). 2. 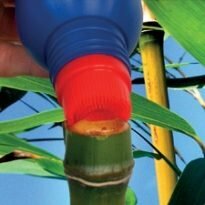 Hold the bottle upside down and gently but IMMEDIATELY apply the gel (a delay of only a few seconds makes a difference particularly with bamboo) squeezing a thick layer of gel onto the whole surface of the cut stem and some of the surrounding bark. 3. Wave your weeds goodbye! The stump won’t regrow. Paste Immediately after cutting for best results! PLEASE read detailed instructions for the conscientious to ensure best results from your Cut’n’Paste products. It’s always better than reading the instructions after something hasn’t worked. 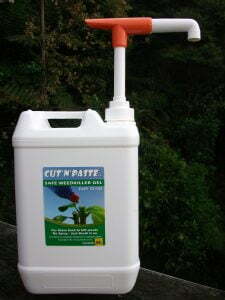 Cut’n’Paste Original is recommended for your leafy weeds that don’t have a decent stem. Simply apply a thin smear of gel onto the underside of a few leaves, particularly new and central leaves. This keeps the gel dry in rain and is less likely to wash off. Cut’n’Paste products are the lowest possible toxicity systemic herbicides money can buy! At 9.1D toxicity rating they fall below dangerous goods classification. Cut’n’Paste Original and Bamboo Buster work on 90% of all known weeds. 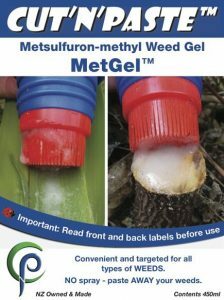 MetGel won’t work on solanaceae species or grasses but is very effective on gingers and other tuberous and rhizomatous plants, privets, cotoneaster, olive and other hard to kill shrubs. Picloram is murder on broadleaf shrubs and trees but like MetGel, will travel through soil so use with care. See separate instructions for Lawn Raider on its own page. What time of year can Cut’n’Paste™ products be used? All year, but are most effective in warmer weather when plants are growing quickly. If you are vigilant you can spot when plants are growing strongly. Will Cut’n’Paste™ affect plants nearby? No, Cut’n’Paste™ glyphosate based gels are inactivated in the soil. If you accidentally drop some gel onto the leaves of another plant snap the leaf off. When used as a leaf applications apply the gels onto the underside of leaves where the plant has stomata, and avoid using when it’s going to rain as heavy rain could wash some gel off onto plants underneath. MetGel being metsulfuron bases is residual in the soil and so is Picloram. Used as a stump paste the active ingredient is held within the dying plant material for long enough for it to be decomposed. Use with caution around waterways as it can move in soil water if accidentally dripped onto standing water. How soon after cutting a trunk or stem should Cut’n’Paste™ be applied? Sap in the plant will then carry the herbicide down into the roots most effectively as it withdraws and seals the wound. Ensure the whole cut surface is treated and some of the surrounding bark. Some small plants and shrubs with thin green bark can be killed by pasting directly onto a circle around the bark of the trunk. Bamboo is said to seal itself within seconds of cutting. 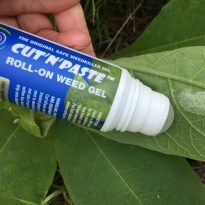 How long does Cut'n'Paste Original take to kill weeds when used on leaves? Some plants are more active than others. Allow several weeks for the full effect to take place. In cold weather or dark conditions die back will take longer. Plants are not born equal. Some grow quickly and some are very slow. The rate of growth will directly affect the speed of action of Paste’n’Waste and the amount of paste needed to have effect. 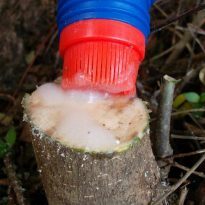 If used according to instructions, Cut’n’Paste and Bamboo Buster should be effective immediately when used as a stump paste, with no apparent regrowth. In dry, shady or cold conditions when plants grow more slowly, use more paste and expect slower and less reliable results. When a plant has very few leaves or sticky protective sap, pasting along a length of green stem can be more effective. If plants have very shiny leaves ensure good coverage of leaf areas if pasting the leaves and paste the underside of the leaves which are less waxy and the paste is less likely to be washed of in heavy rain. Can the brush bottles be refilled? 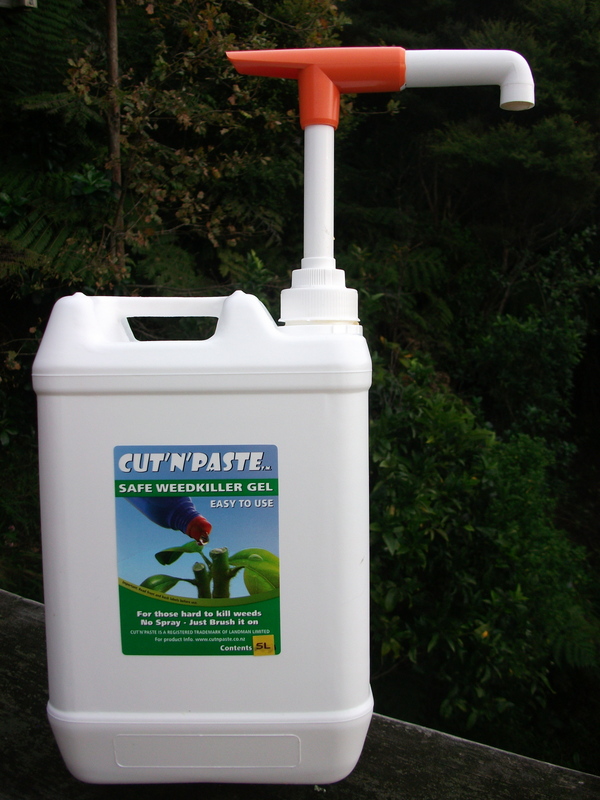 Yes, Cut’n’Paste™ products are available in larger bulk containers, 5 or 20L, with a high quality pumps for refilling bottles. Bottles can also be bought empty for filling from your bulk supply along with replacement brush caps. Use a sharp knife to flick off the red brush top in a wash sink is ideal to you don’t lose it. Wearing gloves wash the brush thoroughly to remove old soil residues. 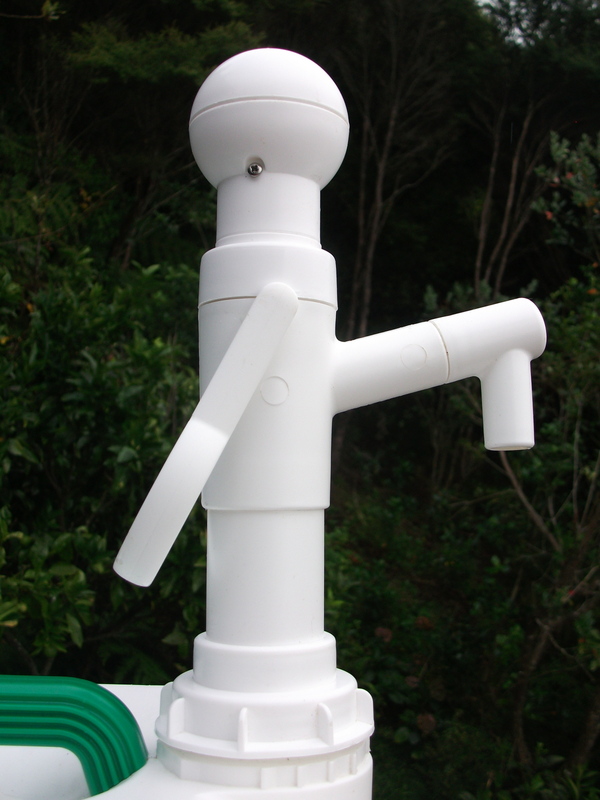 If the bottle has soil residues in it rinse that too, (you could use the wash water for weeds on the drive). Refill the bottle from your bulk supply and snap the brush top back on. Soil residues can cause gelling problems where it loses visocity. Is Cut’n’Paste toxic to organisms and the environment compared to organic alternatives? Don’t be fooled into thinking organic means less toxic or less harmful. Some of the most toxic substances on the planet are organic. Snake and spider venom, arsenic, cyanide to name but a few. Most organic weedkillers are only able to burn off the foliage of pest plants. Coconut and Pine Oil fatty acids for instance are used in organic spays and are able to rapidly dessicate leaves but have little of no systemic effect on the root system of the plant which will regrow. The toxicity is very low for birds and mammals but quite high for aquatic invertebrates. Not all glyphosate is created equal. 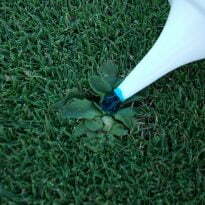 Glyphosate for spraying has to contain high quantities of detergents to break down the waxy surfaces of leaves. 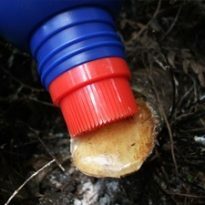 This is not needed in the same quantity with Cut’n’Paste products because the gel sticks it to the plant stem or leaf. The glyphosate in Cut’n’Paste products have been formulated to have minimal toxicity to animals and it’s mode of action means that it’s affects of soils are negligible. The surfactants used are organic Alkyl polyglucosides (APG) which are much less harmful that the POEA alternatives. MetGel uses metsulfuron methyl which is also very low toxicity to animals but much more ground durable. MetGel decomposes fastest in acid conditions. The recent WHO declaration of glyphosate as a probable carcinogen makes its use as a gel even more prudent. As a gel there is no reason to contact the herbicide, particularly if a pair of light gloves is used during work and refilling bottles. The Organic Cut’n’Paste will be more directly toxic that the other gels but with non of the other problems that might be associated with synthesised chemicals. 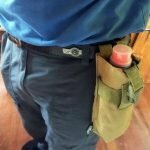 Is MetGel very different to the other Cut'n'Paste Gels? 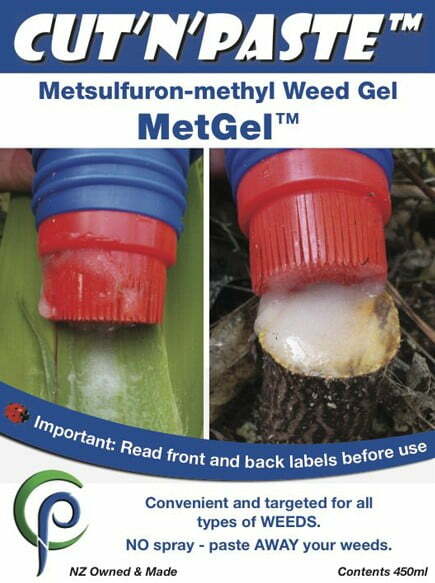 MetGel uses an active ingredient called metsulfuron methyl. See Wikipedia http://en.wikipedia.org/wiki/Metsulfuron-methyl for information on this herbicide. It is very low toxicity to animals but very toxic for plants affecting cell division. It can travel through the soil in ground water so care needs to be taken around waterways and not to drop the gel into ground water where it could spread to other desirable plants. When used as a stump paste it is highly targeted and should be decomposed by the time it enters soil. It is not intended for use in area of food production or next to sensitive and desirable plants such as roses. MetGel is effective in very low concentrations. The Gel contains 10g/L of active. It will not work on the solanaceae species such as Tobacco Weed (wooly nightshade) or datura etc. 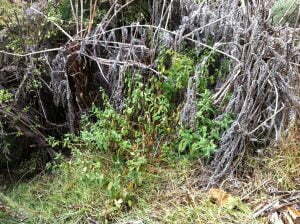 It is very active on those hard to kill shrubs like Chinese privet, tree privet, cotoneaster, gorse and so on. Our Picloram Gel is a substitute for those people that like Vigilant Gel, with the same 43g/L of Picloram active ingredient. 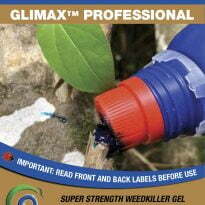 Very effective on many broadleaf shrub and tree weeds. Use with caution because it can travel through the soil and is residual.